Toyota India has been selling the Land Cruiser duo in India, the Prado and the big LC for over a decade. 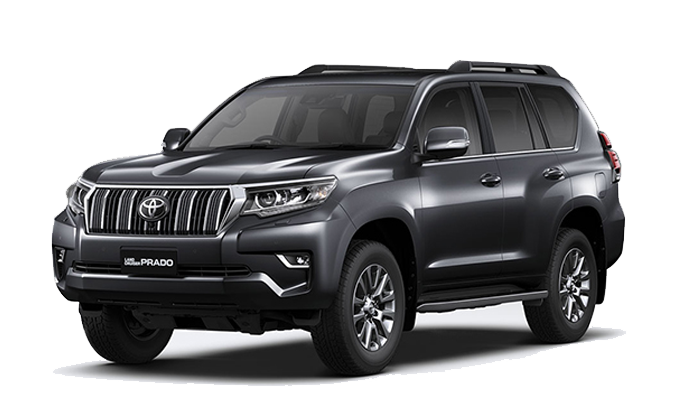 The Prado, which is in its fourth generation since 2009, has undergone another facelift globally and has arrived in India as well. The baby LC has been updated with refreshed exteriors and more equipment while retaining the legendary reliability of the old models. Front Tyres 265/60 R18 ? Toyota Land Cruiser Prado price starts at ₹ 92.60 Lakhs. 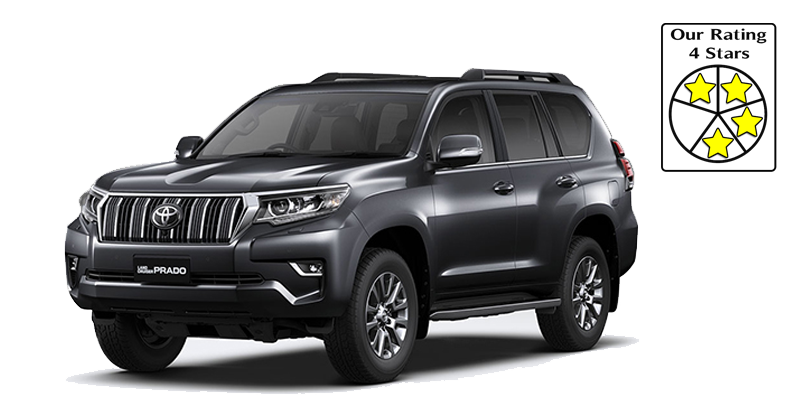 Toyota Land Cruiser prado is available in single variant and 8 different colours - Avant garde bronze, White Pearl Crystal Shine, Blackish Ageha Glass Flake, Attitude Black, Vintage Brown Pearl Crystal Shine, Grey Metallic, Silver Metallic, Red Mica Metallic.